Why is it necessary to have a swim cap? Firstly, it keeps the hair dry or free from the chlorine water. Secondly, it provides insulation against the cold water. Thirdly, for those with longer hair, it prevents your hair from covering your face. Lastly, it prevents loose hair from the scalp of swimmers from clogging the filters in the pool. I’m sure nobody likes a pool filled with loose hair floating around right? Therefore, please be considerate for others! 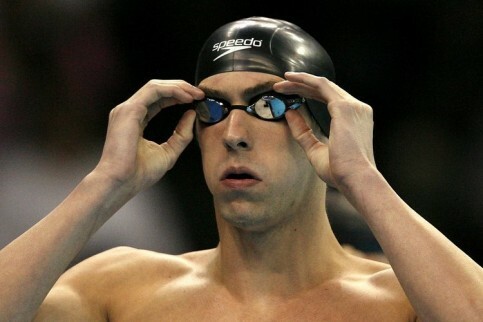 Even competitive swimmers like Michael Phelps wears a swim cap whenever he swims! 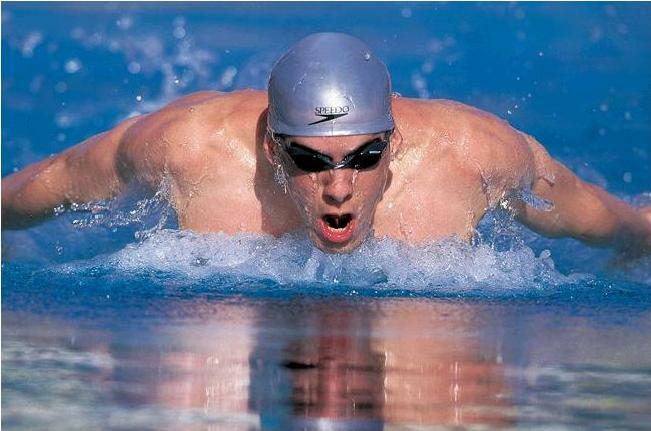 His reason for doing so is to keep his body streamlined to reduce drag in the water. Thus, he will be able to swim faster! It is important to get a swim cap that fits well. Silicone swim caps are highly recommended worldwide. Why wear goggles when swimming? It is to prevent the chlorine from irritating your eyes and blurring your vision. Goggles also allow a clearer vision when underwater. It is important when choosing an appropriate pair of goggles for yourself. Always get a pair that is secured, comfortable as well as fitting and if possible, one that has UV protection and anti-fog lens. Why is there a need for a float board? It is crucial for beginners to have a float board. Firstly, it easily keeps their head above water while working on their legs. Secondly, it helps to build an individual’s confidence and develop a good kicking technique. Thirdly, it helps to train the leg muscles and the lower body. When it comes to purchasing a float board, always remember to get one that is of a suitable size for you. It has to be wide enough for both hands to reach the front end without bending your arms. Also, ensure that it is long enough to cover at least halfway down your upper arm. If you’re looking for these equipments for your kids, kindly visit our swim store and make your purchase TODAY! Why Purchase From Happy Fish? Happy Fish Swim School – Swim Safe, Swim Right. Thanks shawn. A very useful article. Any idea how useful a pull buoy is for a beginner? I only started using this swimming aid when I was at intermediate level. Hi Eunice! Thanks for the wonderful feedback again! You have just provided me with an idea for a new article! To use a pull buoy, the first step is to place it between your thighs. The second step is to cross your ankles to allow the pull buoy to raise your legs up to the top of the water. Thirdly, keep your upper body low in the water and point your toes. This helps to reduce the drag and minimise resistance. Finally, focus on your pull with your arms!